CAPE CANAVERAL, Fla. — Space Exploration Technologies (SpaceX ) will attempt the first launch of 2015 on Tuesday Jan. 6 at 6:20 a.m. EST (1120 GMT), as a Falcon 9 v1.1 rocket will loft a Dragon capsule into orbit for an eventual berthing to the International Space Station (ISS). The pre-dawn launch, is poised to lift off from Cape Canaveral’s Space Launch Complex 40 (SLC-40), with an instantaneous launch window to ensure Dragon reaches the ISS within the scheduled 48-hour time frame. The weather conditions are listed as 90 percent favorable. Tuesday’s flight will mark the seventh flight of SpaceX’s Dragon spacecraft, but is the fifth of twelve scheduled flights under the company’s Commercial Resupply Services contract with NASA. Dragon will carry a total of 1.8 metric tons of pressurized cargo to orbit — the most ever packed into one Dragon vehicle. The spacecraft will remain berthed to the ISS for approximately one month before splashing back down in the Pacific Ocean. In total Dragon will carry 1,272 pounds (577 kilograms) of scientific research and hardware within the capsule, and 1,089 pounds (494 kilograms) of external payloads. The Cloud-Aerosol Transport System (CATS) will travel in Dragon’s unpressurized trunk section. Once unpacked, CATS will be attached to the exterior of the Japanese Experiment Module, dubbed Kibo. 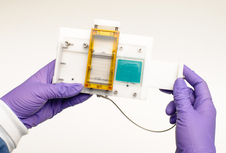 CATS is a refrigerator-sized experiment out of NASA’s Goddard Space Flight Center and will use a light detection and ranging (LiDAR) system to measure the location, composition and distribution of pollution, dust, smoke, aerosols and other particulates in the atmosphere. Aerosols are sustained particulate matter that ranges from minuscule to visible. They can impact the radiation balance of our planet and as such are important to study. CATS has the ability to provide range-resolved measurements, which means it can distinguish between targets that are close together in bearing but at different ranges (essentially, different distances) from the instrument. It uses a laser with a high repetition rate that operates at three wavelengths: 1064, 532, and 355 nanometers (nm). 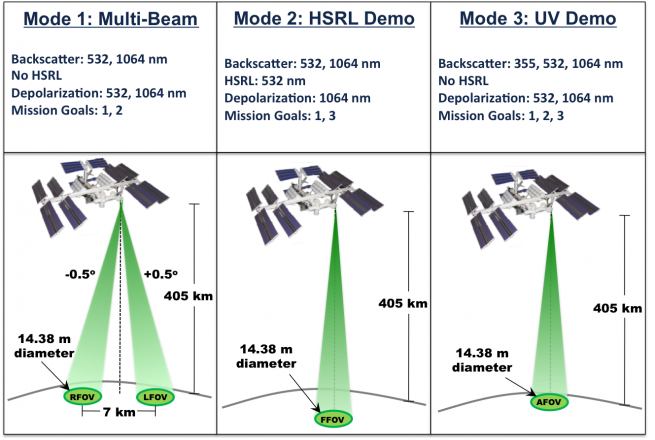 The 1064- and 532-nm wavelengths are already used by NASA’s Cloud-Aerosol Lidar and Infrared Pathfinder Satellite Observations (CALIPSO) mission. However, the addition of the 355-nm wavelength adds the opportunity for observing in greater detail, making it easier to tell different types of particles apart. The instrument also has highly sensitive detectors that can count even individual photons. “You get better data quality because you make fewer assumptions, and you get, presumably, a more accurate determination of what kind of particles you’re seeing in the atmosphere,” said research scientist Matt McGill and principle investigator for CATS at NASA’s Goddard Space Flight Center in Maryland. There is some concern that this third laser is prone to being contaminated. Thus, part of the mission is also dealing with that risk, and seeing how the instrument fares in space. Mounting it to the ISS is a way to cut costs in this process. As for the laser’s high rate of repetition, CATS can again be compared with CALIPSO, which fires 20 laser pulses per second, each at 110 milliJoules of energy. Conversely, CATS will fire 5,000 pulses every second, though each at about 1 milliJoule. CATS will provide real-time data about air quality, climate change, and even hazardous events, like volcanic eruptions. 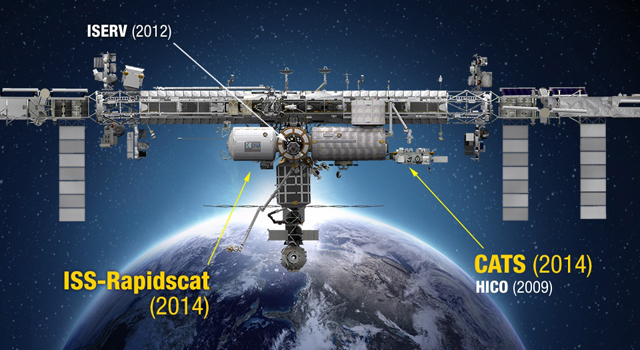 CATS is also a systems and technology test for the upcoming Aerosols, Clouds, and Ecosystems (ACE) mission around the 2020 time frame. Former NASA astronaut Sam Durrance is no stranger to launch preparations, but this time he gets to be the one launching an experiment instead of himself. He is the principal investigator on an experiment to study how proteins function in the unique environment found on orbit. SABOL is a long-term project from the Florida Institute of Technology. It focuses on protein fiber formation, growth processes, and the relationship between protein fiber formation and neurodegenerative diseases. There is a process where tau-proteins self-assemble into long thin fibers. The resulting long protein fibers can form a gel that slows or even stops the nerve signals in the brain. In SABOL these fibers are formed in an acidic buffer solution. Dry protein powder is mixed with the buffer solution in small polypropylene vials. Once the system is brought up to 50 degrees centigrade, the protein starts to aggregate on its own. After certain time, the protein structure is observed under an atomic force microscope (AFM). The resulting data reduction and analysis is based on protein structure images collected by the AFM. The protein structure is affected by many factors: the concentration of the buffer solution (simple saline solution in SABOL’s case), temperature, gravity, and even fluid dynamics. Fluids behave like a completely different form of matter when exposed to the effects of microgravity and are heavily affected by surface tension. In microgravity, any air bubbles within fluids will migrate to the center of the fluid. This is a key factor that had to be accounted for in the development of this experiment in order for the pistons to properly function. Proteins will assemble under thermodynamic control, and as such each vial self-heats to 55 degrees, allowing for incubation to occur. Traditionally proteins develop to form fibrous mats, and in a zero gravity environment, researchers are hoping to see more complicated structures, as well as be able to understand how the develop these structures. Fruit fly experiments aboard the ISS will study how microgravity, radiation and other aspects of the space environment affect the fruit flies, providing data that is relevant to human health. On this Dragon capsule will be a brand new habitat for the flies. Dubbed Fruit Fly Lab-01, the new habitat is composed of three separate parts. The cassette, will serve as the primary habitat, with a food changeout platform used to change their food and prevent any flies from escaping. Fruit fly larvae will also be able to be easily removed for preservation. Lastly, there will be a fly camera in order to monitor the flies’ behavior during the experiment. During their stint on station, the flies will be exposed to an Earth-like day/night cycle, as well as varying degrees of gravity. Half of the flies will be kept in microgravity and the other half will be housed in a NanoRacks centrifuge to simulate Earth-gravity. This will help scientists differentiate between the effects of microgravity and other factors such as radiation and launch forces. While the Fruit Fly Lab-01 mission will be only 28-days in duration, future missions could be much longer. 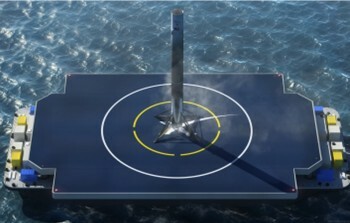 As previously reported on Spaceflight Insider, SpaceX will attempt to land the first stage of the Falcon 9 on an autonomous drone ship. During a press conference, Hans Koenigsmann, vice president for mission assurance, stressed that the primary objective of this mission was to safely launch and deliver the cargo to the ISS. The drone ship landing is a secondary experiment with a predicted 50 percent success rate. Tuesday’s launch will have an instantaneous launch window, with a backup attempt scheduled for Friday Jan 9. The flight has already seen a few delays, with the most recent attempt pushed back from Dec. 19 due to an anomaly during a static fire test. The test, scheduled for Dec. 17, was terminated prematurely and as a result the launch attempt was postponed until Jan. 6. 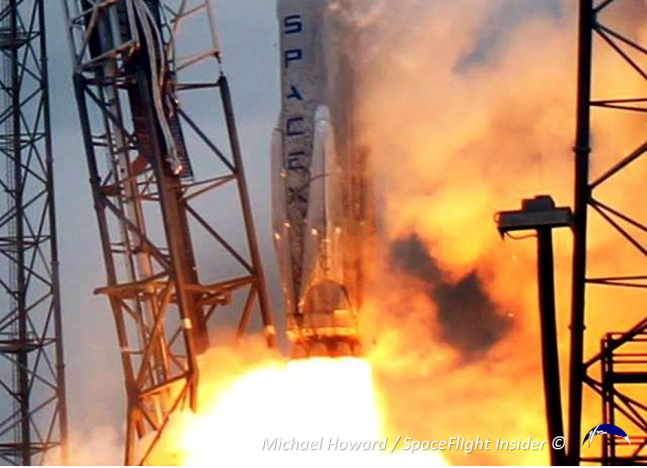 After a catastrophic explosion of Orbital Sciences’ Antares rocket in Oct. 2014, SpaceX has been extra cautious to avoid any other potential mishaps. 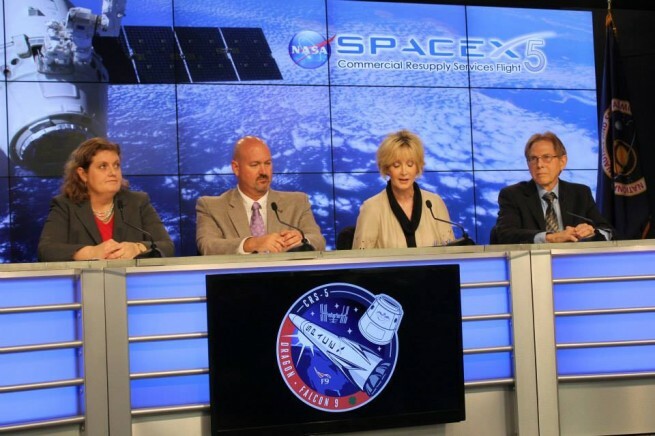 With the help of NASA, Nanoracks, and CASIS, 17 out of 18 student experiments scheduled to fly on the doomed Orb3 mission will fly on this Dragon. This flight will mark the first commercial resupply flight since that disaster. Be sure to tune in to Spaceflight Insider’s Live Show beginning at 5 a.m. EST (1000 GMT) for launch coverage leading up to a 6:20 a.m. EST (1120 GMT) liftoff.